The Belpark Theatre, located on Cicero in the Belmont Cragin neighborhood, was designed by Roy B. Blass and Edward P. Steinberg. It opened in 1927 as part of the Lubliner & Trinz circuit. In 1930, the Belpark Theatre was taken over by Balaban & Katz, which operated it for the remainder of its career as a movie house. The venue closed as a movie theater in the mid-1950s. Like many former movie palaces that exist in the present day, adaptive reuse has been critical to its survival. I first visited the Belpark last summer, and was intrigued by the oddity of it serving as bingo parlor. I walked in, and felt immediately confused by the lobby decor. It bore the elegance of an earlier time, but I didn’t get the feeling I was seeing anything that resembled the original look of the space. Had the imposing chandelier been there from the beginning? Possibly yes. Was the mural also there from the beginning? I suspected it most likely wasn’t. 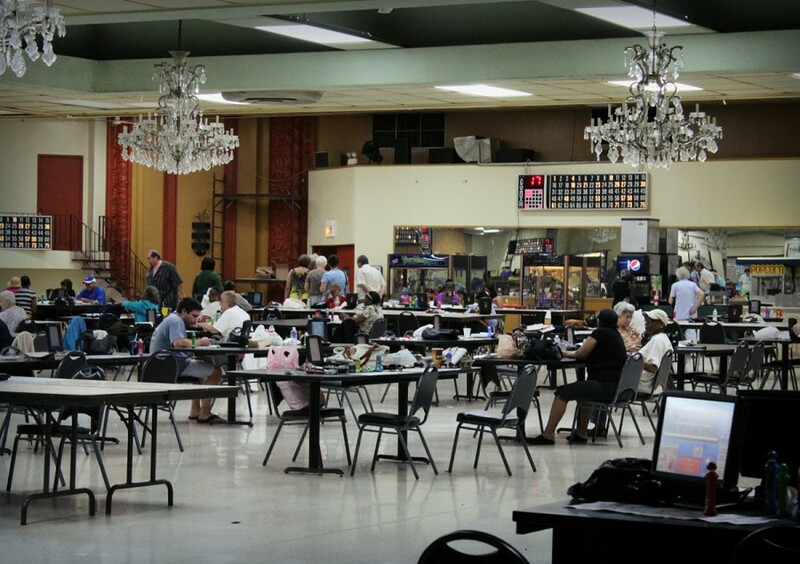 Inside the main auditorium, bingo games were underway beneath crystal chandeliers. A drop ceiling and makeshift walls obscured almost all evidence of the Belpark’s original grandeur. The only hint of its opulent Spanish Baroque architectural detail was a bit of terra cotta peeking out from behind the concession area. 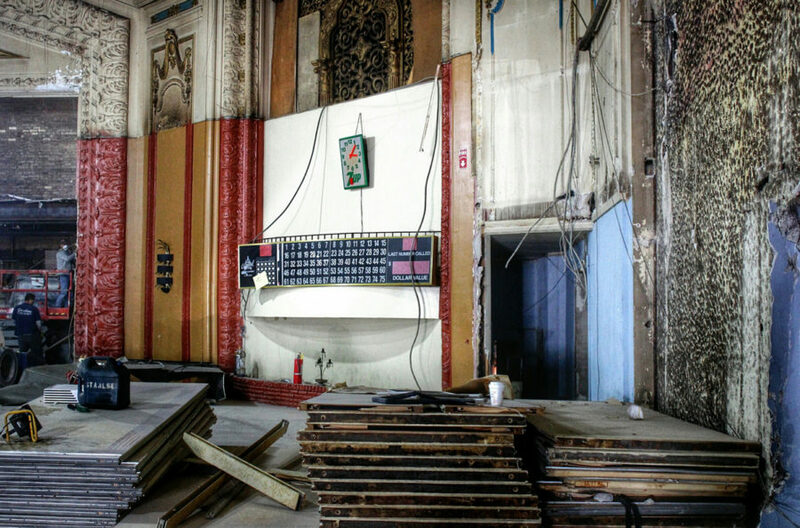 I was curious to see if there were any photos of the Belpark Theater’s original interior online, but couldn’t find anything; however, a visit to the Cinema Treasures website provided clues to the eclectic interior I had found so puzzling. After closing as a movie theater in the mid-1950s, the space had gone through years of serving as a warehouse and banquet facility before being converted into a bingo hall. 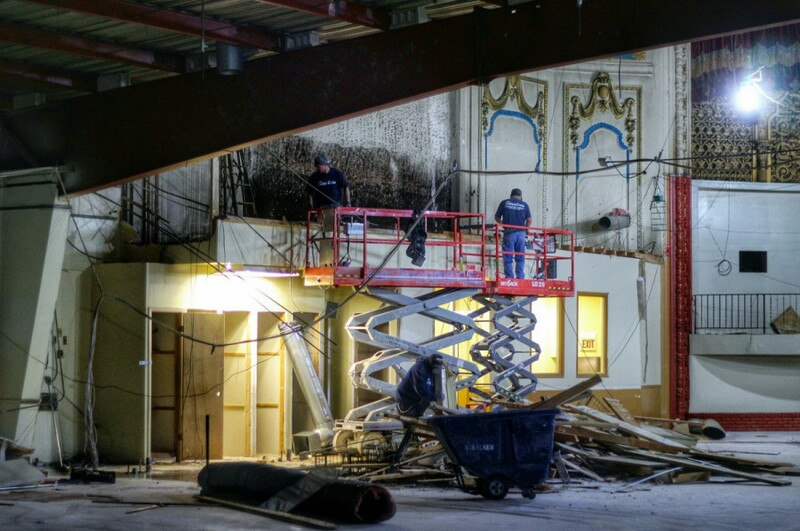 A couple months ago, I went by the Belpark Theater again and was surprised to see that renovations were underway. 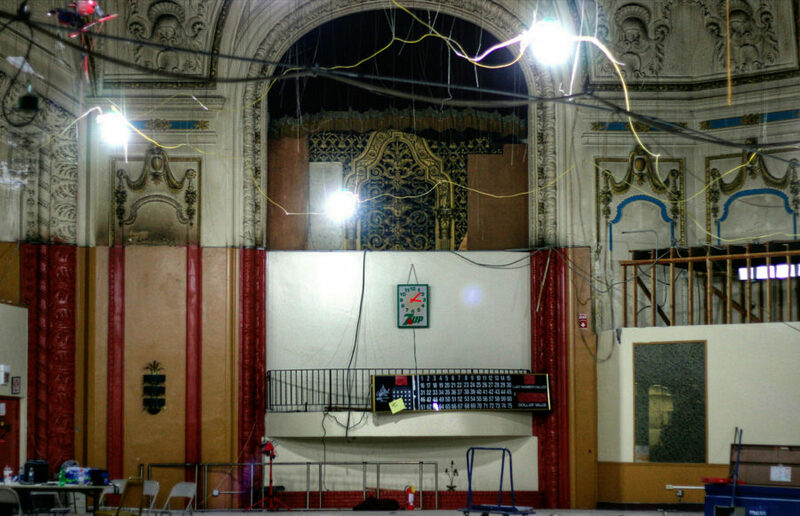 The bingo parlor had moved out, and the removal of its interior was slowly revealing the original majesty of the space. The fabulous Spanish Baroque interior was surprisingly intact behind the last few reminders that the theater had served as home to Golden Tiara Bingo. 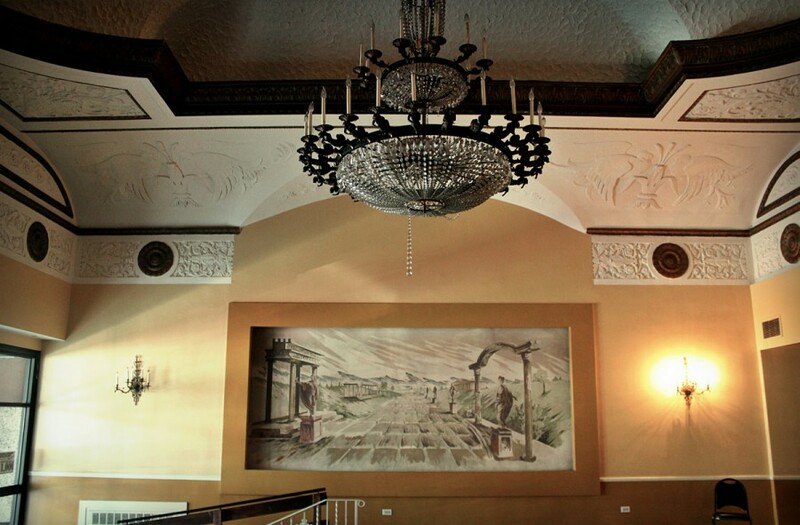 Some of the original detail had been destroyed when the auditorium had been transformed to serve other purposes, but it was easy to imagine its original glory. In the lobby, a few puzzling artifacts from the building’s history were awaiting dispatch. 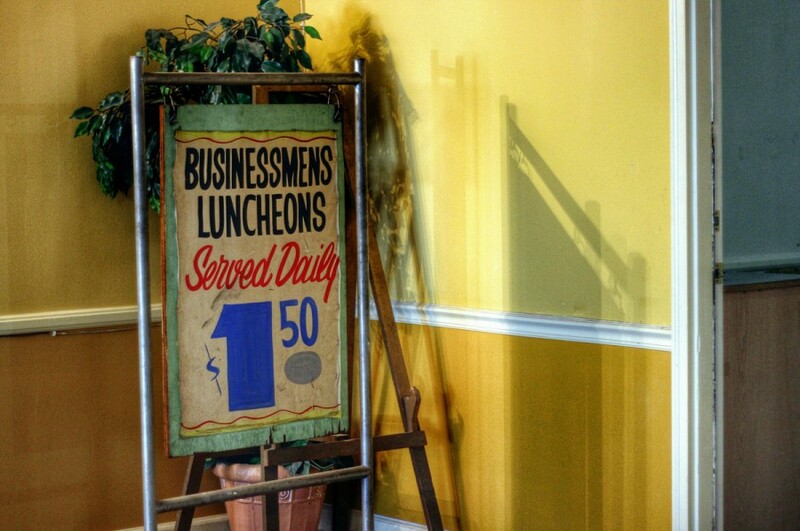 I was especially intrigued by a sign advertising “Businessmens Luncheons” at the bargain price of $1.50. When did the auditorium get decked out with leopard print wallpaper? Oh, if these walls could talk! I returned to the theater again in May. I found even more of the original interior revealed as workers prepared the building for its new owner, The Chicago Tabernacle, a megachurch that sought to purchase the Portage Theater in 2012 but abandoned its intentions due to opposition from neighborhood groups, preservationists, and city officials. Might the church be planning to restore the original grand interior? I was eager to seek clues, and disappointed to find a promotional video that suggests plans for a stark, modern sanctuary design. Hopefully the new tenant can transform the space without destroying its original interior detail, so others in the future might be fortunate enough to glimpse its historic splendor. Thank you for sharing the photos! Grandpa Balaban and his cousins were surely never thinking “bingo” when they were operating the theaters!!! Such grandeur! Wishing the walls could talk, yes, indeed! Great Pictures!! 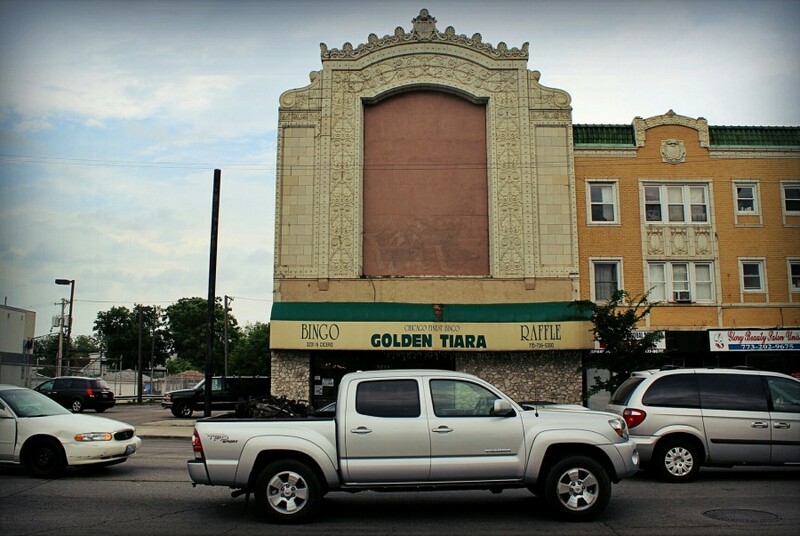 Last time I was in the Golden Tiara Banquet Hall (before it became a bingo hall) was in the 70s for some Foreman High School functions. The food was good but we always wondered if the original theater interior was up above that false ceiling. Thanks for letting folks see that it’s still there. Now, we like you, are hoping the new remodeling will preserve what was found. Do you have any updates or more recent pictures? Frank: I haven’t had another chance to check out progress on the interior. 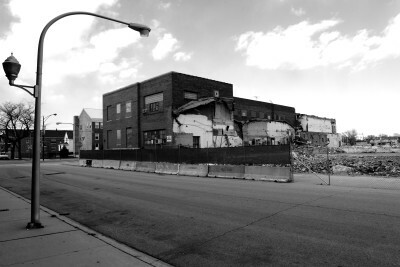 I believe the church group (Chicago Tabernacle)that is moving in is now in the process of transforming the space as shown in the video linked at the end of my article. Sad choices, in my opinion. Thanks for the reply! I agree, if they simply modernize the interior without saving the historic value of the plaster moldings in the Auditorium and the Lobby and the Terra Cotta on the exterior it would be a shameful waste. On the other hand I’m glad to see the building being preserved from decay or a wrecking ball. Here’s some drawings from the architect’s website that look a little more promising especially for the auditorium. It shows more plaster moldings on the ceiling etc. being preserved. The plans could save more of the lower plaster work, but at least it looks like saving the upper, which was not as damaged over the decades. The outside looks a lot nicer than it does now, and opens up the two story lobby again with windows! The store fronts and the rest get a nice clean look again too! Thanks for continuing to share. Leon and I may visit the site later this winter or early next spring! 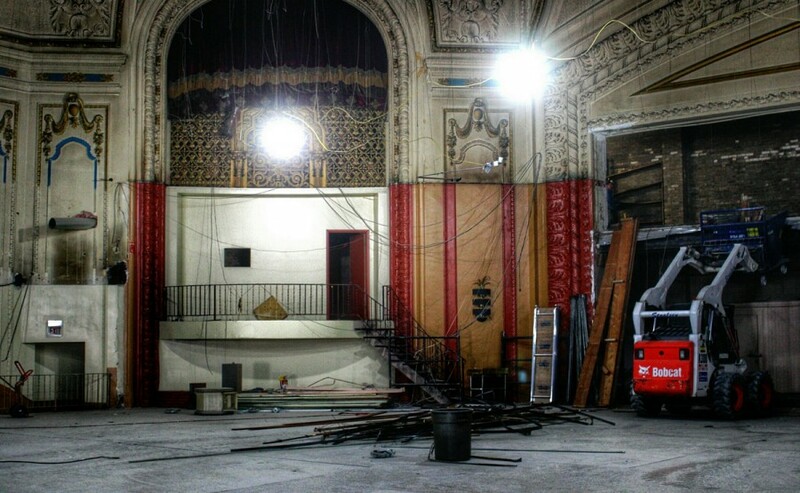 Here’s a link to some more pictures posted on Facebook by the “Chicago Theatre Preservation Alliance” depicting the revelation of the original Bel-Park Theater outer lobby by the renovation crews converting the building to a church. Also it’s cool to see posts here from the Balaban family. I’m sure the folks in the C.T.P.A. and other groups would love to meet them and hear some stories. It sounds like they’ve opened up the lobby and it looks like they’re keeping the majority of the auditorium. If the paint is what they show in renderings though, ick. Why not keep the gold gold at least? The new owners are covering up most of the architecture. It’s a travesty to cover beauty not to mention history! 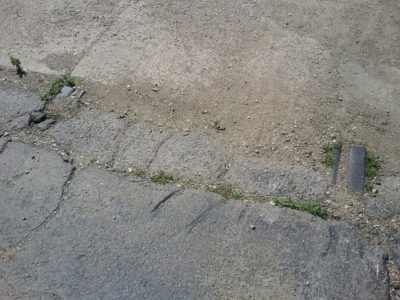 Im sure the church could have left it the way it was! Wow! 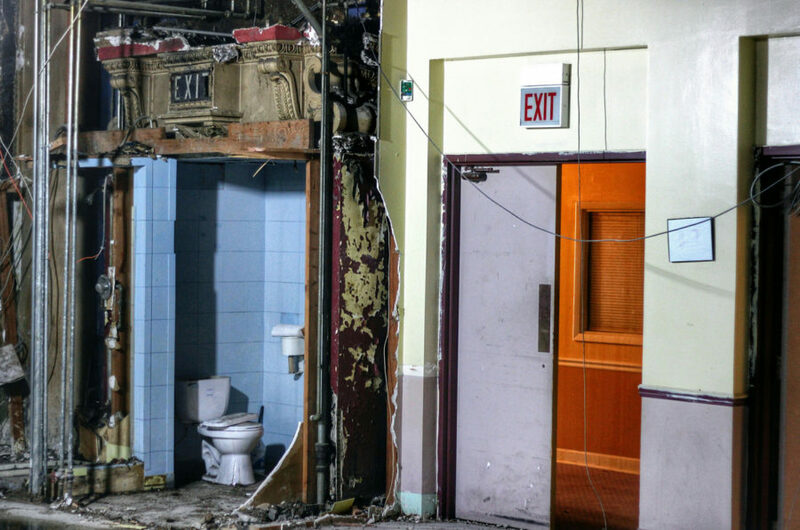 Simply amazing what Chicago Tabernacle did with this decaying building. From what I see, they saved as much as could be saved. 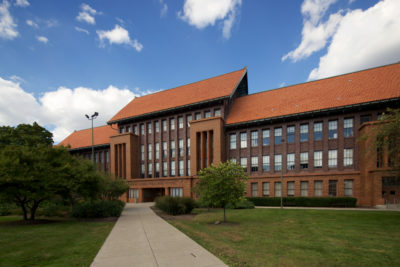 The front of the building has been cleaned up beautifully. I think that a lot of times what we see in pictures is amazing! years of abuse must have proved detrimental to the building. I’m sure that a lot of the Spanish Baroque styling must have been cracked and a lot of it simply crumbled when touched. Judging from the video, they did a fine job and I am glad to have the building save. I went to the movies there a young child. It was beautiful in the same was as many B&K theatres. I lost one of my mother’s popcorn balls during a movie and it rolled all the way to the front of the theatre. That area was blessed with theatres, the Luna being around the corner, there was another theatre close by, and then the Portage and the Will Rogers were very close by.